For over 25 years, we have been constructing lasting life insurance plans that provide assurance to our clients when they need it most. Since life Insurance is a financial instrument that makes a projection today of what may happen 30 or more years in the future, we take a careful, purposeful approach to designing each plan based on your unique needs and servicing those plans to ensure they remain on track. We call our approach Life Insurance Architecture. Marcus Vitruvius , a Roman statesman, architect, and engineer in the first century BC wrote the first manuscript on architecture, which discussed three elements that all structures must possess to withstand the test of time. He believed that they must possess strength, they must be tailored to suit a particular purpose, and must have parts that are in perfect unity. Although he was referring to the elements of physical structures, we believe his philosophy applies with equal force to life insurance. We adopted this thinking and added a fourth element of ongoing management because without the proper care, even the soundest structures are prone to failure. 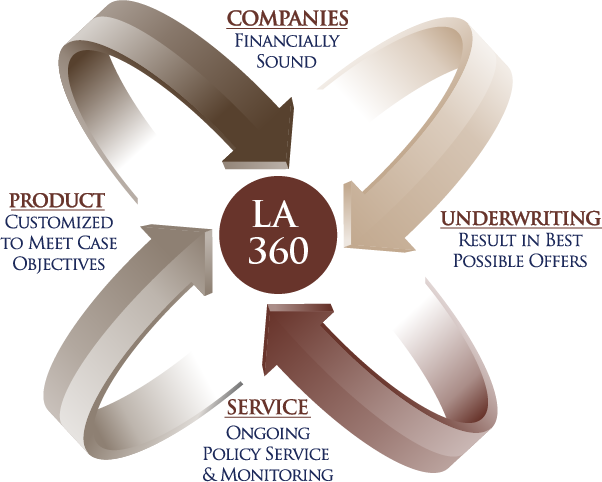 All four of these elements create the Life Assurance 360 process, which is our version of life insurance architecture. 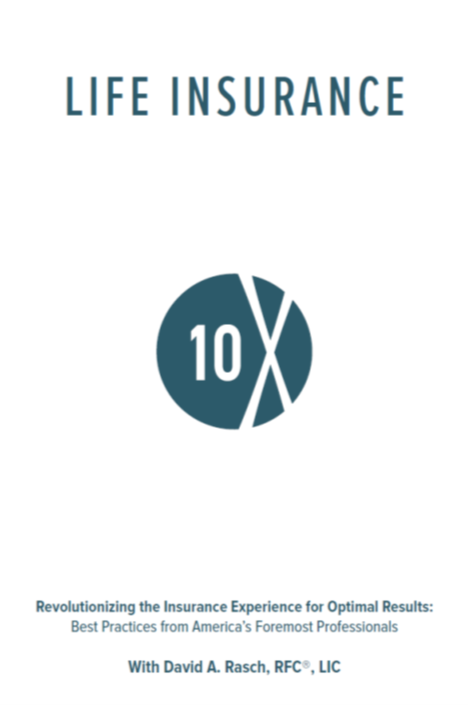 STRENGTH: Choosing a financially sound company is fundamental to creating a sound life insurance plan and is the equivalent of laying a foundation of a physical structure. PURPOSE: today’s life insurance products are complex and require a high degree of expertise to customize in order to find the exact combination that suits your particular purpose for coverage. UNITY: since underwriting has the single greatest impact on policy pricing, we have a professionally managed, confidential advocacy process to unify plan design with medical underwriting to achieve the best value for you. ASSURANCE: creating a plan that combines financially sound companies, purposeful design, and underwriting advocacy is a great first step, but if it is not maintained over time, it may be just as prone to failure as if nothing had been done at all. That is why we utilize industry-leading software that manages and reports on the performance of your policy to ensure that it remains on track. Each step of this process, addressed in isolation, will always yield results that fall short of those produced when all four are working in concert. 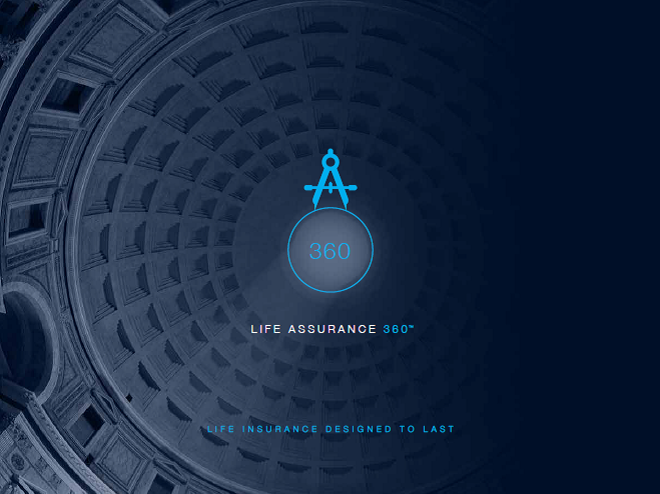 As Aristotle observed, “the whole is greater than the sum of its parts.” As Life Insurance Architects, we believe that it is our duty to take a 360°, comprehensive approach to life insurance. That is why we call our process Life Assurance 360™. To learn more about these four processes, please click on the brochure link below, or feel free to give us a call and we’ll be happy to set a time to get together and discuss it in more detail.